You should get a confirmation email. This could take a few minutes. This should take you back to the NextMinute website. Once you've entered new password and confirmed it then click 'Submit'. Enter in email and new chosen password then click 'Login'. 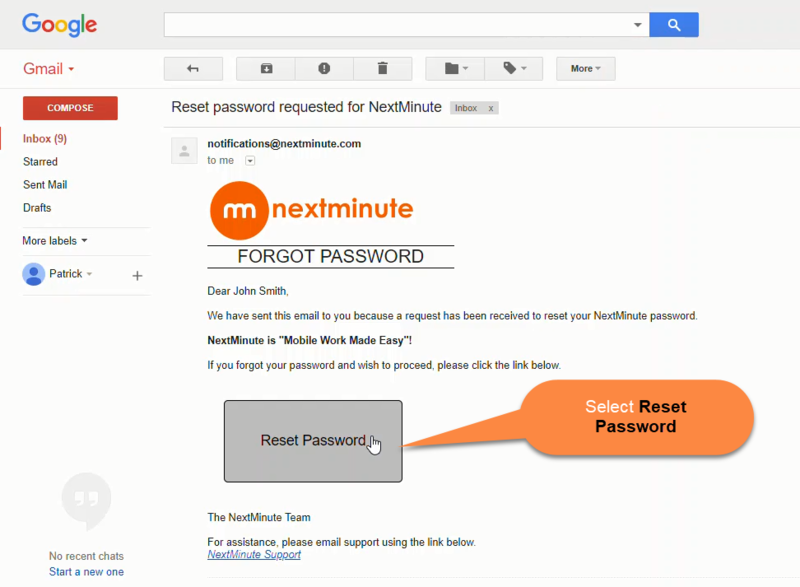 This should get you into your NextMinute account.